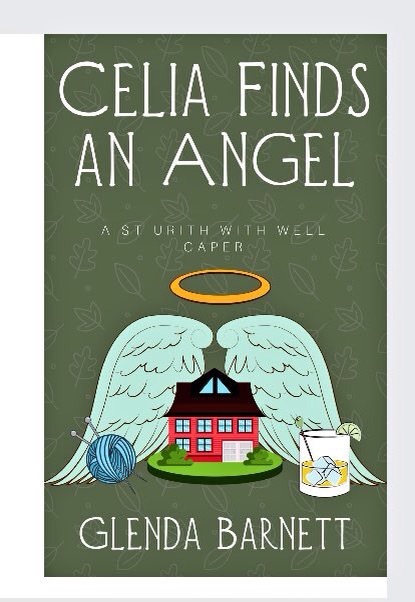 CELIA FINDS AN ANGEL, my dear ladies and occasional gentleman this is another book about me, Ronald, my two hairy little dogs and our FUNNY QUIRKY life in our NORTH DEVON village. If you would like a good GIGGLE and a roam around NORTH DEVON, then you NEED this BOOK. Algeria, Austria, Australia, Bangladesh, Belgium, Brazil, Canada, China, Cyprus, Czech Republic, Denmark, Estonia, Finland, France, Germany, Ghana, India, Indonesia, Ireland, Italy, Israel, Jamaica, Japan, Kuwait, Malaysia, Mexico, Morocco, Netherlands, New Zealand, Norway, Pakistan, Puerto Rico, Qutar, Romania, Russia, Singapore, Slovakia, South Africa, South Korea, Spain, Sweden, Thailand, U.K., USA. So kind, thank you, spread the word. I am glad Celia found the angel (well, all the angels). But I would like to take Celia to task on one small point….the gin recipe needed to be at the beginning of the book to help this poor reader cope with the shocking end to the prologue. Quite took my breath away. 😀 Happily, thereafter, the body count remained stagnant. A jolly good caper, in the tradition of DE Stevenson’s Miss Buncle. Although I purchased the Kindle version via Amazon, I couldn’t leave any comment on Amazon because I have not spent the requisite $50 in the last 12 months! HI, Gallavanta, thank you so much for buying the book and taking the time to comment on it. I can well believe you needed the gin after reading the prologue. Although I created my own story, the germ of it was based on a real incident that happened in a manor house near me. I’m so glad you enjoyed it. I am not familiar with the author you mention, so I will look her up. I didn’t know about that rule with Amazon but if it’s OK with you I will put your comment on my author page on Facebook. Thank you, every review helps. I will certainly look at the book. We had a local history exhibition in our village church and there was a newspaper cutting from the 1800’s with a really sad story about a young housemaid. This gave me the germ of my story.